Home › Israel › Basically, What is a Basic Patent in Israel? Basically, What is a Basic Patent in Israel? The 7th amendment to the Israel Patent Law, allows patent term extensions to be made to “basic patents” in pharmaceutical industries. The concept is similar to Certificates of Patent Extensions in Europe. “the basic patent”—the patent that protects any material whatsoever, including a process for the production of a material, use of a material, a medical preparation that incorporates a material, a process for the production of a medical preparation that incorporates a material or medical equipment that requires a license in Israel (hereafter: medical equipment). In a ruling concerning IL 113403 to Novartis, the concept “basic patent” is defined. Essentially, the patent covers Aliskerin, which is the active ingredient of Rasilez. 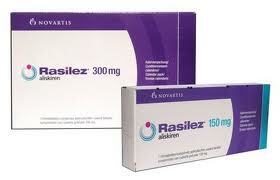 Rasilez tablets contain the active ingredient aliskiren, which is a type of medicine called a renin inhibitor. It is used to help lower high blood pressure. The drug was registered for use in Israel in June 2008 and, within three months of registration, the applicant filed for a patent term extension based on corresponding European Patent EP 678,503. There is, however, a second European patent, EP 1303478 that also received a patent term extension. One is for the product and the other for the process. Novartis argued that the law is drafted to allow the applicant for a patent term extension to base the request on an earlier patent that is not identical, such as on a process patent where the Israel patent is for a product, and vise-versus. The commissioner agreed with this position. What the Commissioner was not prepared to contemplate was that the term could mean different things in different Sections of the Law, allowing the applicant to obtain the longest possible extension by understanding the term differently for different purposes. Due to the value of patent term extensions, I suspect this decision will be appealed. Thus as can be understood the debate was on the question of whether the patent holder may “cherry pick” from the several equivalent foreign patents in Europe the one which is more convenient for the patent holder, for the purposes of each of the provisions governing the calculation of the extension term. Unsurprisingly, knowing the general (or should we say generic) climate in this territory, the Patent Office answered to this with a categoric big NO. You are correct. I was looking for the correct term.